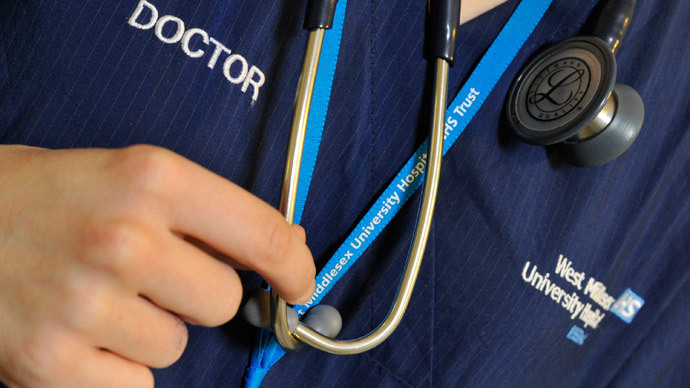 Doctors in the UK have received offers in excess of £100,000 from private healthcare companies in return for referring patients to their hospitals, an investigation has found. Land registry records show that private healthcare firms also provide free accommodation in expensive areas of London to many independent doctors’ practices in exchange for patient referrals. Official guidelines state that doctors must not allow financial interests to affect their treatment of patients. A major health insurance company made the discovery in June 2012 and presented its evidence to the profession’s regulator, the General Medical Council (GMC), which failed to act on the information. The British Medical Journal (BMJ) published a report on the scandal on Wednesday, and accused the regulator of being “unwilling” to act on breaches of medical standards. It also called for UK doctors’ financial interests to be made public. In October 2014, the Competition and Markets Authority (CMA) issued an order to stop financial arrangements between doctors and private healthcare firms. The order followed a public investigation into the scandal launched by the CMA in 2012. Speaking to the BMJ, a senior surgeon described how he had been offered “a six figure sum” to refer patients to a private hospital group as recently as nine months ago. This offer was made despite public knowledge of the CMA’s investigation into such practices. “I and a number of other people were approached independently, and then a few of us did get together and talk about this,” the surgeon told the BMJ anonymously. Despite how “tempting” the offer was, given it included free facilities and administrative support, he chose to decline. “I have a concern morally about inducements to take patients to a certain facility,” he said. Many independent doctors’ practices in high-end areas, such as Harley Street in London, are paid for by private healthcare companies, investigators found. American hospital corporation HCA owns 73 properties many of which are in London’s West End. Investigators were shocked when they found a copy of a lease agreement which stipulated that free accommodation would be provided by a healthcare firm in exchange for doctors using their “best endeavors” to refer patients to their hospital. Besides corporate giant HCA, other key offenders include Britain’s largest private hospital operator, BMI Healthcare, and their competitor Spire. The GMC has come under fire for failing to “take a clear position” on the accusations when they were confronted with the evidence in 2012. The BMJ’s editor-in-chief said the investigation showed the GMC is unwilling to act on possible breaches of standards. “The GMC's belief that its role is limited to offering guidance on conflicts of interests is unsatisfactory,” she said. In a statement, GMC chief executive Niall Dickson said the organization will be writing to independent healthcare providers to seek assurances they are not putting their doctors in a position where they could be acting outside GMC guidelines. New rules will come into force in April banning so-called “cash for referrals” and forcing private hospitals to declare any financial arrangements they have with doctors.